The puppet made quite a wild return. Panic! At The Disco have dropped a new music video for “Dancing’s Not A Crime” which features the now-iconic Amazing Beebo puppet. The video shows Beebo running around venues, befriending fans at shows and enjoying a drink or two. The video is complete with live footage of the band on the Pray For The Wicked tour. The end of the video ends on a surprising note with Brendon Urie getting upset at all of the puppet’s crazy antics. You can check out the full video for “Dancing’s Not A Crime” below. The song comes from the band’s latest album Pray For The Wicked, out now. 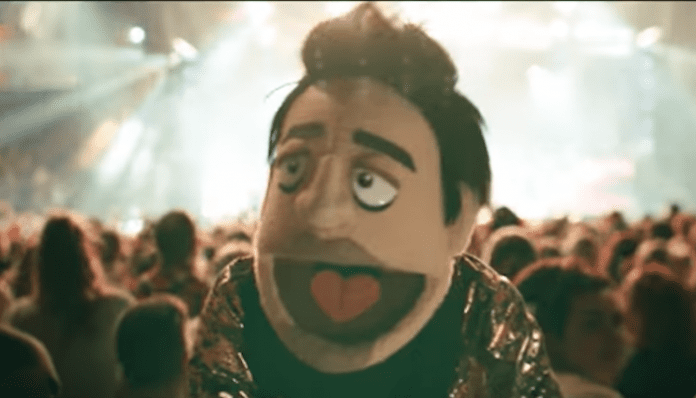 The Amazing Beebo first made his way into our hearts when the puppet appeared in the “Hey Look Ma, I Made It” music video. PATD recently won big at the 2019 iHeartRadio Music Awards, taking home the award for Alternative Rock Album of the Year. Panic! At The Disco are currently touring Europe. Many of the dates are sold out, but you can still check them out below. You can also grab remaining tickets here. 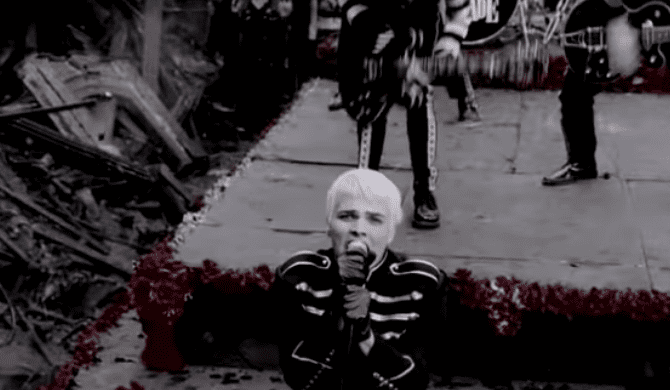 What do you think of the new Panic! At The Disco video? Sound off in the comments below!